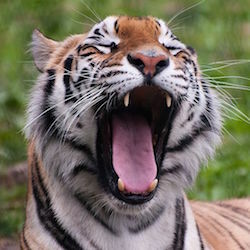 No major surprise, the firm last December acquired WiredTiger for its database storage engine technology. According to Eliot Horowitz, CTO and Co-founder of MongoDB, the technology provides an easy to use, high-level layer for application development, durability, and horizontal scale, while allowing lower-level storage engines to offer solutions engineered for specialised use cases. The WiredTiger storage engine was built with “latch-free non-blocking algorithms” and this is what makes it so nice. The freedom of latch-free non-blocking algorithms gives a database technology like Mongo DB the ability to take advantage hardware developments like large on-chip caches and heavily threaded architectures. Programming purist Kay Ewbank writes on I-Programmer saying that the new storage engine has enabled the developers to introduce document-level concurrency control, which they (Mongo DB) say means performance remains fast and predictable under concurrent, write-intensive workloads. “Transparent on-disk compression has also been added, reducing storage requirements by up to 80%, and a choice of compression algorithms means you can choose one that offers the best performance/space trade-off to suit the needs of particular components in your applications,” wrote Ewbank. Available for free under the GNU Affero General Public License, MongoDB is claimed to be among the world’s fastest growing databases. The company (MongoDB) sells additional supplementary services on top of the free software including: advanced software elements, production and development support, certifications, MongoDB Management Service (MMS) for cloud environments, as well as consulting and training.